Looking for private in-home or in-studio Music Performance lessons? Our Boyes Hot Springs teachers are ready to get you started. Find your teacher today! This is what I do. If you're an artist, writing, performing, recording, looking for a deal, out there trying to make it happen, get with me. Bring me your stuff and let's work. I can work with you every step of the way. Every thing matters. You're an artist. I care about your craft. I can work virtually. Call me now. I'm a versatile performing musician and composer myself and so love to teach all styles including classical, jazz, rock, blues and more! We have a student showcase party every year where all the students get together to perform and showcase their skills. Performing, like everything else in music, is actually really easy once you become familiar with it! We learn from the beginning that music is all about having fun and bringing more joy and fulfillment into your life! Proper technique transfers to all styles of music. Some of my students sing with their guitar and in bands, some work purely on gospel, some on classical. I tailor lessons to you, to work on your passion and show you how proper technique improves your singer no matter what style you perform. I offer piano lessons and voice lessons for beginning or intermediate students age 8 or above. I am interested in helping students learn to read music, and to sing or play with good technique, leading to outstanding performance, for family and friends or in public. 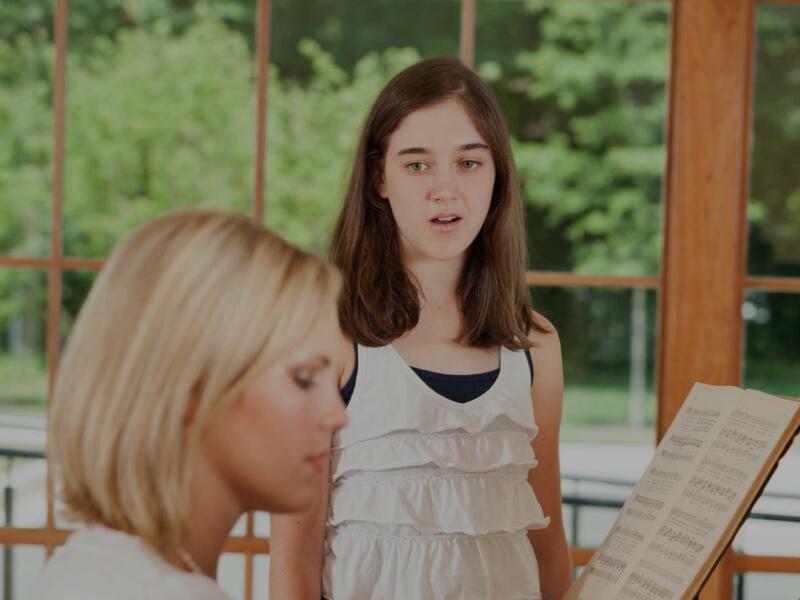 Musical Performance skills and overcoming stage fright are a must. My comfortable in- home studio setting is a great place to start. I teach the basics of music performance - how to stand, when to wait, how to bow, everything needed to have a great performance or a successful audition. Kat S., Soprano, has her Bachelor's of Music in Classical Voice, as well as teaching singing lessons in San Jose and Sacramento, CA. A member of the National Association of Teachers of Singing, she strives to support her students in finding their voice, no matter what level they are at. A proponent of being able to use your voice healthily for all singing styles, she is versed in classical, jazz, musical theater, and pop styles. She also has experience teaching beginning theory. cher is the renowned Dr. Robin Fisher, Soprano. Dr. Fisher is one of two classical voice instructors at CSU Sacramento, and has performed in both the United States and Europe. I teach from a comprehensive approach, taking into account mind and body: the science of voice as well as the art. Fantastic teacher, currently taking lessons and she is so helpful and nice. I would 100% recommend taking lessons from her! She was great, made me feel comfortable at home, easy to get along with, and helps to sculpt to music you like.